SAN FRANCISCO — The 2015 Japan Film Festival of San Francisco (JFFSF) and the 2015 J-Pop Summit present actor Tadanobu Asano, anime director Koji Morimoto and techno DJ legend Ken Ishii as official guests of honor for the annual Japanese pop culture festival. 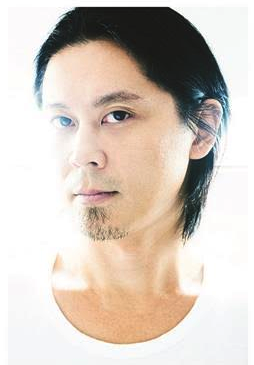 Ishii has performed live internationally and enjoys a worldwide fan base in the electronic music scene. The opening night event on Friday, Aug. 7, at 8 p.m. at the Castro kicks off the JFFSF with a special 35mm presentation of director Sogo Ishii’s “Electric Dragon 80000V,” a rollicking comic-book-style action film that stars Asano, who will be on hand to personally introduce the film and participate in an audience Q&A immediately following the screening. The opening night event will culminate with a live DJ set collaboration between Ken Ishii and Morimoto. Tickets are available for $25 each at http://jpop2015.brownpapertickets.com. Asano also is set to appear at the San Francisco premiere screening of “My Man” on Saturday, Aug. 8, at 6 p.m. He will introduce the film and will participate in an audience Q&A at New People Cinema, 1746 Post St. in San Francisco Japantown. Morimoto is set to appear at the J-Pop Summit at Fort Mason, Marina and Buchanan, on Aug. 8 at 12 p.m. ahead of the screening event “The World of Koji Morimoto,” a collection of three of his animated short films, on Sunday, Aug. 9, at 1:50 p.m. at New People Cinema. Morimoto will introduce the film and will participate in an audience Q&A. Morimoto will additionally appear for an autograph session on Aug. 8 at 1:30 p.m. at Kinokuniya’s booth at Fort Mason. Ishii is set to headline a second evening concert performance of J-Pop Live Night J-POP on Aug. 9 at Fort Mason. “It is a great pleasure to present Tadanobu Asano with the Japan Film Festival of San Francisco Honorary Award,” says Manami Iiboshi, executive director of JFFSF. “As one of the most inspiring and outstanding figures leading the Japanese film industry, and as an internationally acclaimed actor who actively works on projects beyond boundaries, he is extremely deserving of this award. Opening in conjunction with the J-Pop Summit on Aug. 8 and running through Sunday, Aug. 16, the 2015 JFFSF will take place at New People Cinema, located inside the New People entertainment complex in Japantown (www.newpeoplecinema.com). Tickets to individual screenings are $13 each, unless otherwise noted. Film summaries, trailers, screening times and advance tickets are available at www.JFFSF.org. • “Electric Dragon 80000V” (2001, 55 minutes, directed by Sogo Ishii) on Friday, Aug. 7, at 8 p.m. at the Castro. 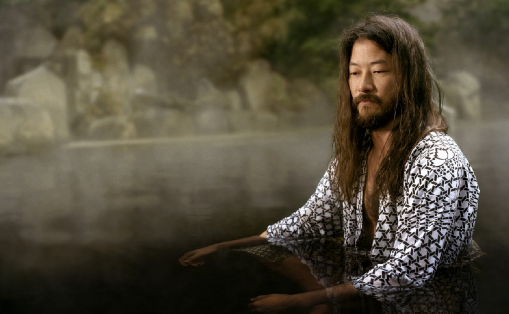 Dragon Eye Morrison (played by Tadanobu Asano) is a reptile investigator who suffers from an intermittent explosive disorder caused by brain damage he sustained in a childhood accident. He manages to find a way to survive and control his urges to destroy with his love of reptiles and an electric guitar. Meanwhile, Thunderbolt Buddha (Masatoshi Nagase), an electric repairman turned vigilante who has acquired powerful electro-conductive powers after sustaining a childhood accident, goes after crime bosses and gangsters that take advantage of electric signals. Holding an obsessive hatred towards Morrison, Thunderbolt Buddha challenges him to a final showdown on the rooftops of Tokyo. • “My Man” (2014, 128 minutes, directed by Kazuyoshi Kumakiri) on Saturday, Aug. 8, at 6 p.m. at New People Cinema. When loneliness leads to forbidden love, how far will you go? After losing everything in a tsunami disaster, 10-year-old Hana is taken in by a young distant relative, Jungo. The pair begins living together as family while sharing the profound sense of loss. Amidst the deep snows of Hokkaido, both desire to fill their empty, love-starved hearts and they set foot into a forbidden world. When an elder benefactor in their small town, Mr. Oshio, learns of Jungo and Hana’s illicit relationship, tragedy begins to take over. Actor Tadanobu Asano who will introduce this film. • “The World of Koji Morimoto” on Sunday, Aug. 9, at 1:50 p.m. at New People Cinema. A collection of three short films by one of Japan’s top anime directors, Koji Morimoto, who will appear in person to introduce the films as well as participate in an audience Q&A. “Magnetic Rose” (45 minutes) is the first of three episodes of “Memories,” based on the manga by Katsuhiro Otomo, the creator of “Akira.” The film follows the members of the deep space salvage vessel Corona. While performing a salvage mission, the crew encounters an odd distress signal emanating from the Sargasso region, ominously nicknamed “The Graveyard of Space.” Soundtrack composed by Yoko Kanno. “Noiseman Sound Insect” (15 minutes). In the space of music, people used to live in the music fruit in the trees. One day, Dr. Frankein secretly succeeds in creating the creature Noiseman by feeding the music fruit as fuel. Since then, the space has been dominated by noise, not music. When a pair of kids, Tobio and Reina, find out this secret, they challenge Noiseman to bring the music back home again. The film’s soundtrack was written by composer, arranger, and musician Kanno. “Genius Party Beyond: Dimension Bomb” (20 minutes) is one of the five-part animated omnibus “Genius Party Beyond,” produced by Studio 4℃, which Morimoto founded in 1986. One day, a boy named Shin, who wears a pupa-like mask, encounters a girl named Koo. The days spent with Koo, who is a free spirit unlike any other, start to fill up his life with cherished and unforgettable moments. Kanno provides the voiceover of Koo. • “Blind Swordsman: Zatoichi” (2003, 116 minutes) on Sunday, Aug. 9, at 4 p.m. at New People Cinema. This 2003 samurai action film, directed by and starring actor Takeshi Kitano (“Beat” Takeshi) as Zatoichi, co-stars Tadanobu Asano, who plays Ronin Hattori, Zatoichi’s rival. The film is a revival of the classic “Zatoichi” film and television series. It won the prestigious Silver Lion for best director at the Venice Film Festival and went on to win numerous other awards internationally. New People Cinema is a 143-seat theater equipped with a cutting-edge HD digital projection and THX-certified sound system. It is home for local film festivals and other entertainment events. Launched in 2013, JFFSF is the first and only fully dedicated Japanese film event for the Bay Area. This year’s edition will feature a colorful mix of narratives, anime and documentary film premieres and exclusive screenings with special guest appearances. More details and ticket information are available at www.jffsf.org. The J-Pop Summit is an annual Japanese pop culture celebration held in San Francisco that features live bands and artists from Japan, pop culture panel discussions, film premieres, fashion shows and events, food and spirits, art, and celebrity appearances. In 2014, the two-day event attracted 125,000 attendees. Details are available at www.J-POP.com.